Yesterday, I read an informal look at how real fast food measures up to what’s shown in advertisements. 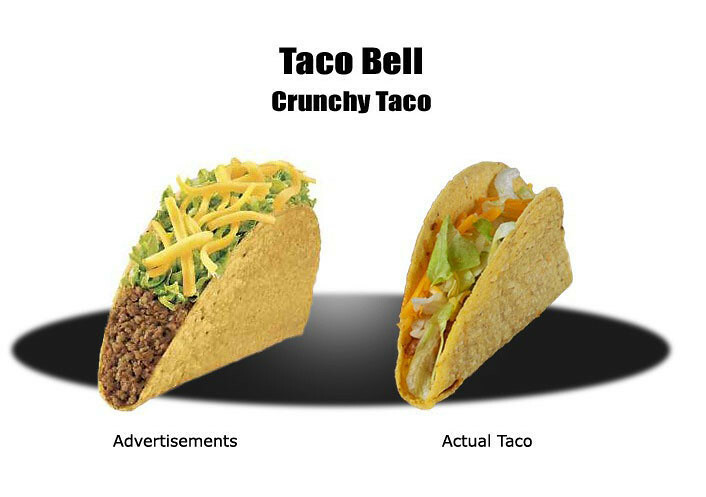 The author compared the advertised-vs-the-reality at Taco Bell, Burger King and other major fast food chains. It was pretty eye-opening, but not entirely surprising. On a somewhat related note: Later, my friend Darren picked me up from campus and, on the way home, we swung by Taco Bell. 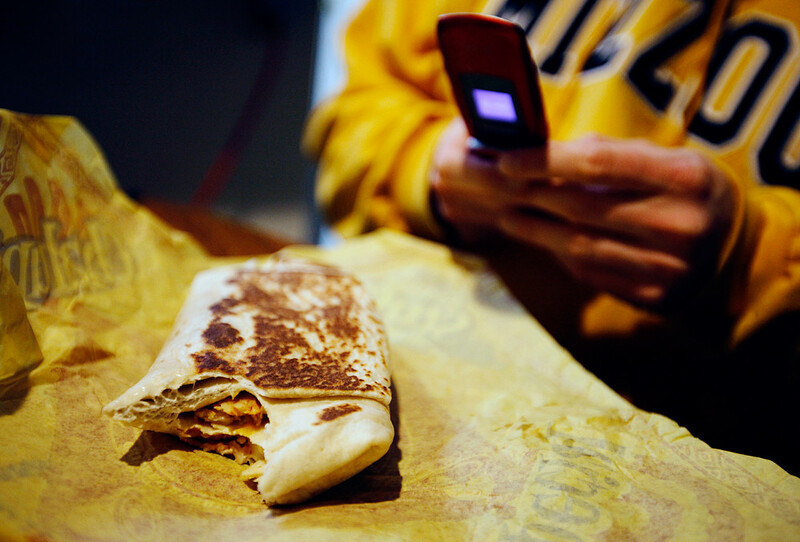 Taco Bell is probably Darren’s greatest love, apart from Xbox. 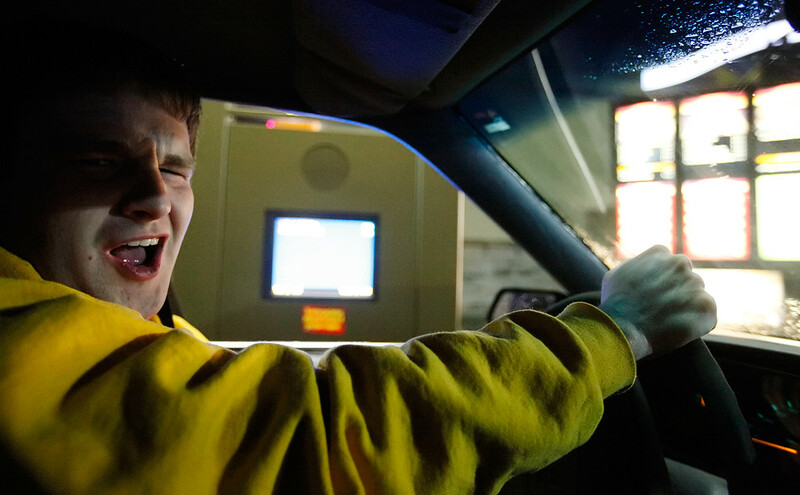 Darren was excited to see that Taco Bell has resumed serving the Grilled Stuft Burrito. Darren was not excited about the price. Darren, at the drive-thru: "$9.52? What the ----?" But Darren was excited enough to text our friend and his former roommate Jason since, apparently, this was one of their favorite menu items back in the day.